A very common question I receive is where to stay in Istanbul. Istanbul is a large and diverse metropolitan with very bad traffic. So, the question does not have one answer, it depends on what you want to do and purpose of your trip. To pick up the right place, first learn the lay out of the city. 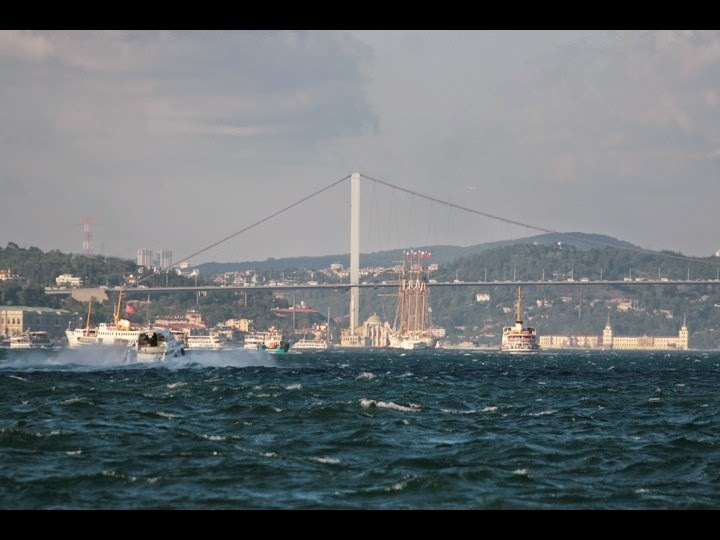 A large body of water goes thru the city, this is the Bosphorus, not a river but salty sea water. It connects the Black Sea with the Sea of Marmara. West of the Bosphorus is the European side, east is the Asian side. Most of the highlights that the first time visitor wants to see are in the European side of the city. The European Istanbul is also divided into two by the Golden Horn. Golden Horn is a long and narrow inlet, it runs for 4 miles long. South of the Golden Horn is a triangular peninsula. This peninsula is between the Golden Horn, Bosphorus and the Sea of Marmara, it is the Old Town. North of the Golden Horn is the not-so-new new city. Major historical highlights of the city are in the Old Town. 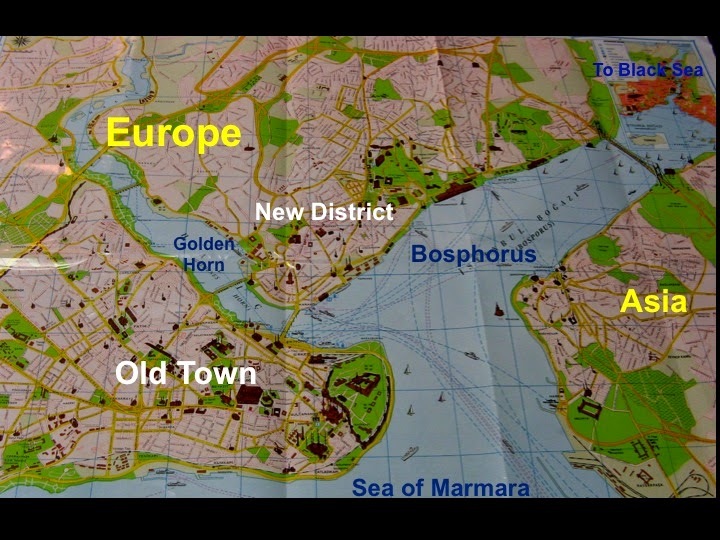 Map of central Istanbul with Old Town, Golden Horn and Bosphorus. While guide books, including the Rick Steves Istanbul guide book I co-authored, divides places to stay by the neighborhood, here I want to make a different categorization and go by the purpose of visit. -a first time visitor, with limited time, say 2 – 4 days, stay in the Old Town. This will be convenient. -a first time visitor, but with extended time, like 6 – 10 days, you can break your lodging between the Old Town and the New district or the Bosphorus. -a first time visitor, have limited time, but can’t do without the energy and diversity of a metropolitan, stay in the New District, around Istiklal Street. You will be in the midst of a never sleeping city. -a repeat traveler who had already stayed in the Old Town and enjoyed seeing sights on foot, make a change and stay in the New District or along the Bosphorus. -in for a business visit in the Maslak / Levent area, stay in one of these neighborhoods, but make sure it is close to the metro line. -in for a romantic get away, consider hotels on the Bosphorus. These hotels are plush, those on the Asian side of the Bosphorus are less expensive. -in for a business visit in İkitelli, Halkalı, Bağcılar, Beylikduzu, Buyuk or Kucuk Cemkece lakes, or textile and industrial area, near or west/north west of the Ataturk Airport. And I am sorry for you that you will need to commute some distance and time for the highlights of the city. -looking for a life time experience and if money does not matter, stay on the European shores of the Bosphorus. For hotel listings, see the “Staying” chapter in Rick Steves Istanbul guide book. We gathered a good collection of mostly mid range hotels in desirable areas. Now, I will try to discuss the advantages and disadvantages of each of these areas. I find staying in the heart of Old Town ideal for first time visitors as you can walk to most of the major highlights, saving yourself a lot of time from traffic and the trouble of figuring out how to travel. Even the Four Seasons doesn’t have a pool. So shape your expectations accordingly. Some of these small hotels are categorized as “Boutique” or “Special Class”. Both these titles are given by the Ministry of Tourism and only to facilities that meet a discerning criteria. It is hard to categorize self made boutique or special class hotels. This sign indicates that the hotel has been inspected and certified by the Ministry of Tourism. However, there is also a downside, Old Town is touristy! Everyone you see in this area are either a tourist or someone working for tourists. After the sight seeing and museum hours, it is only tourists staying in this area and sometimes “too friendly” touts trying to attract your attention. While some restaurants are good, none are the immediate choice of the Istanbulites, therefore their menus consist of mainstream Turkish food and standard kebab fare with some meze that travelers feel familiar and safe. Some Old Town hotels sound too good to be true, with all amenities, pools and a cheap price. Be careful, they may too far from the heart of the Old Town, as Old Town within self is quite large too. Almost 5 miles with the birds flight from west to east. So, staying in a hotel far from the core is not as appealing. You will need to use a vehicle, private or public, or walk a longer route sometimes winding thru the narrow historic streets. As a matter of fact there is not a district in Istanbul called the “New District”, everything outside the historic peninsula is newer. Here I want to focus on the area around the Istiklal Street. This street is the Turkish counterpart of a European city square, it is lively and crowded around the clock. A wonderful place for people watching and experiencing life as Istanbulites do. You will see everyone on the street, young, old, blonde, brunette, men, women, western tourists, tourist from the Gulf, it an amazing river of people. On and around the street there are countless hotels, restaurants, cafes, bars, coffee shops, book stores, art galleries, deli shops, etc… You name it you got it. Istiklal Street and near vicinity will offer you a thriving and dynamic metropolitan experience. 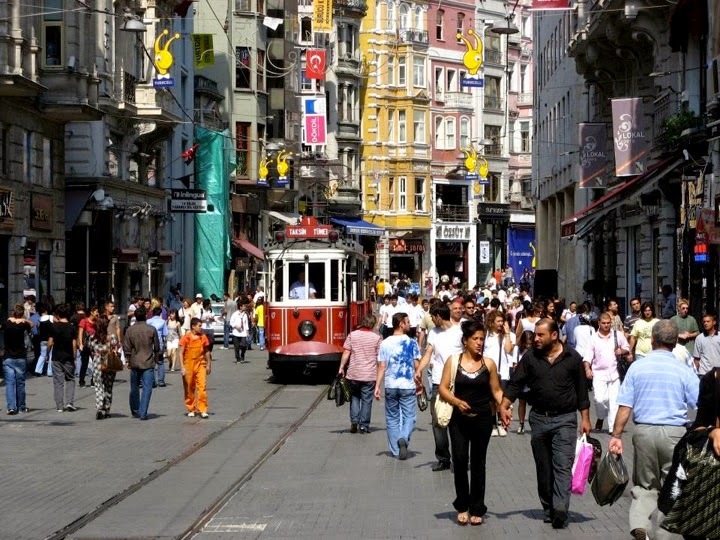 If you like to be near the Istiklal Street, but don’t prefer it to be so busy, you can consider the Cihangir district. It is a short walk to Istiklal and Taksim, has more of a neighborhood feel with small restaurants, cafes frequented by regulars. It is mostly rental apartments in Cihangir than hotels. Staying on or around the Istiklal Street, you will be close to the funicular which provides an easily transfer to tram for the Old Town. Highlife in Istanbul is concentrated along and around the Bosphorus, the artery of the city. Some of the finest and most expensive hotel chains have properties right on the water, very close or overlooking with commanding views. While their prices are hefty, there is no place else in the world you can see another continent looking out the window. From the hotels of this area, best transportation to Old Town and sights is to engage a private chauffeured vehicle or a taxi. If you want to stay on the Bosphorus but don’t want to spend a fortune, you can consider the smaller boutique hotels on the Asian shores. Most of them own boats and shuttles clients to European shores for easier transportation. They are usually located in very pleasant neighborhoods and away from the business districts. It is a real treat to be picked up and dropped back to the private dock of your hotel for a cruise on the Bosphorus. 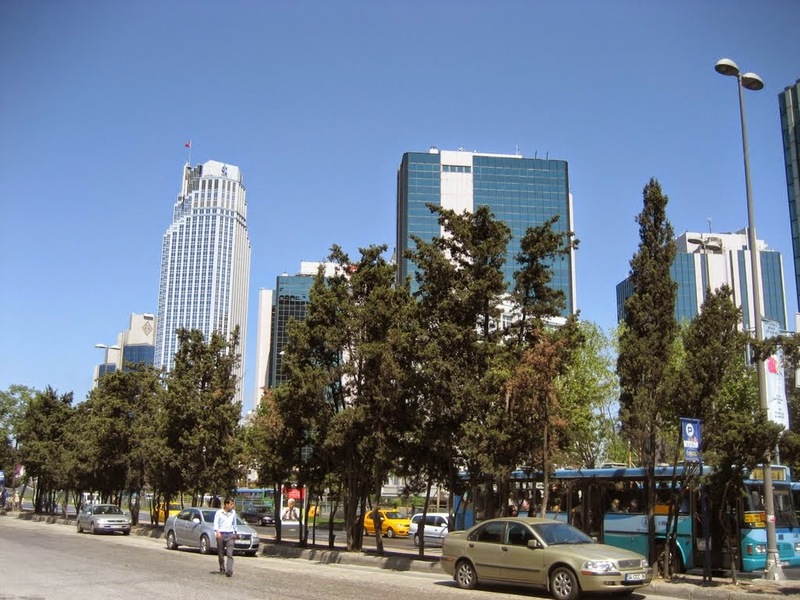 The most concentrated business area with in the heart of the city are Levent / Maslak districts and surroundings. Most of the high rises that are seen from the Bosphorus are concentrated in this area. This is also the area where yuppy concentration is highest, shops and restaurants catering to such clientele is plenty. Hotels are usually 4 to 5 star, sleek and trendy. It can be a head ache to go to Taksim or the Old Town unless you use the convenient and fast metro, so try staying closer to the metro line. I suppose the best advice I can give to those who have to stay west or north west of the Ataturk Airport for business is to work extended hours if possible (like most of the locals in Istanbul) and create some free days so you can move to a hotel in the Old Town or the New District to be able to enjoy some sight seeing before heading back home. Or, be prepared to spend at least one hour, one way for the Old Town and around one and a half hours for the New District (if you are lucky). Finally, I want to talk about an area of Istanbul yet not discovered by the travelers to stay at. It is heart of Usküdar on the Asian shore of Bosphorus. 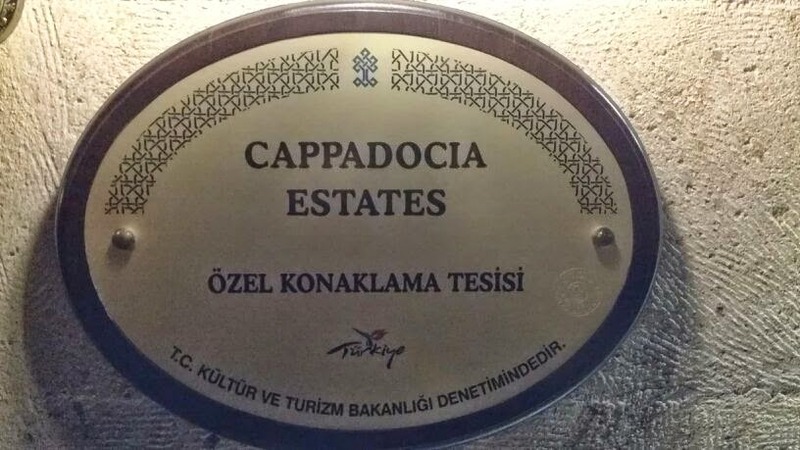 Number of hotels in Uskudar are limited, but I suppose they will increase in short time as transportation to Old Town, European shores of Bosphorus, and New District from this location is far more easier than anywhere else in the city. Great public transport options are available, Uskudar is 5 – 10 minutes of the public ferry to any location on the European shore of Bosphorus. With the state of the art newly built Marmaray (transcontinental metro under Bosphorus) it is 4 minutes to the Old Town. Besides, million dollar view of the Istanbul’s historic skyline can only be seen and photographed from shores of this district.